‘Fantastic Beasts: Crimes of Grindelwald’ Trailer Released! IT’S FINALLY HERE! The trailer for Fantastic Beasts: The Crimes of Grindelwald released today, and we could not be more excited! Then the trailer finally arrived – we were on the edge of our seats! “If you had ever had the pleasure to teach him, you’d know Newt is not a great follower of orders”, says Dumbledore, with a grin. The mischievous twinkle in his eye is definitely coming through thanks to Jude Law! The no-maj is back! Newt and Jacob walk down some railed stairs, Jacob encounters a new bird creature which is yet to be identified (though some readers suspect it might be an early version of Fawkes). It appears we’re not in Newt’s briefcase (it’s on the table), but another of his workrooms! Is this where Newt’s assistant, Bunty (as revealed by Victoria Yeates in a recent interview) resides? “Are you goin’ somewhere?” Jacob asks Newt. Is Newt swimming to France via Kelpie, perhaps? 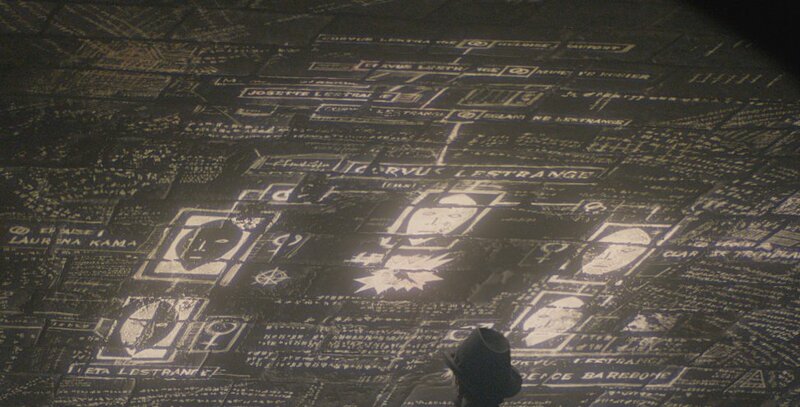 One graffiti says "Leta Lestrange", the other "Corvus Lestrange", and one says "Credence Barebone" ! And the last one I can make out is Laurina (?) Kama, but we dont know her… Maybe that's Maledictus's name? UPDATE: Credence Barebone & Leta Lestrange are half-siblings. 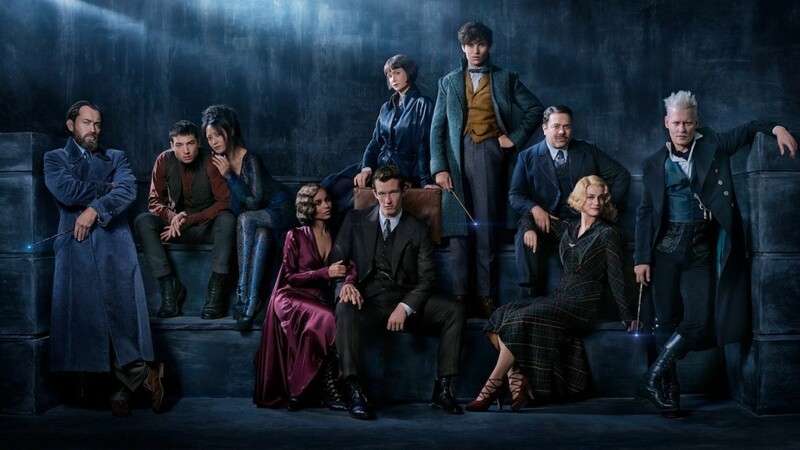 Credence (sporting a new ‘do) appears to be part of the wizarding circus as suspected, and is not happy about it – can Credence now call upon his Obscurus powers on-demand? Why does it have to be Newt? Is Dumbledore struggling with his history with Grindelwald? Is this another situation where Newt, like Harry, has a connection or ability that makes him uniquely necessary? Is Dumbledore showing his chess-master tendencies again? So what else do we know so far? Dumbledore and Grindelwald’s history will be unpacked further in Crimes, revealing “how Dumbledore becomes Dumbledore”. 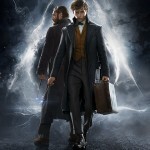 As the final Dumbledore-Grindelwald duel doesn’t take place until 1945, we’ve got a while to wait until the tension peaks, however, we do know that a teen version of Grindelwald and Dumbledore (and Newt and Leta) were cast earlier last year, so it’s fair to assume that we’ll get to see more of the complicated relationship between the two seekers of ‘The Greater Good’. 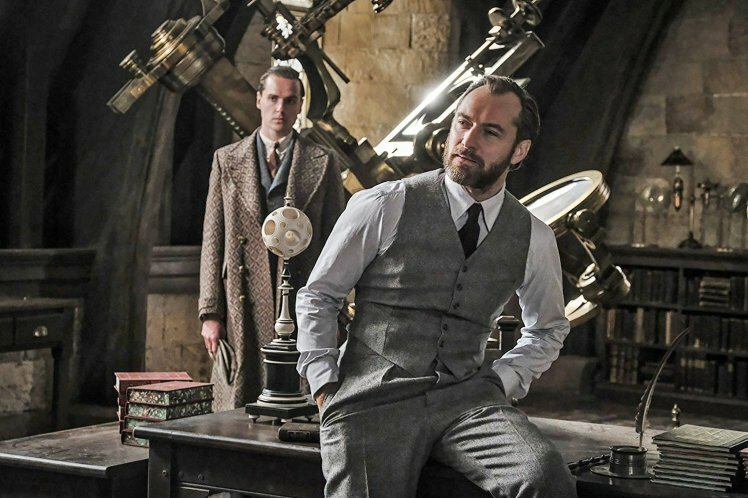 Dumbledore’s insistence that Newt must be the one to make a move against Grindelwald is curious – much like he did with Harry, he’s playing the chess master. Dumbledore tells Newt in the new trailer that he can’t move against Grindelwald, and it’s Newt that must be the one to make a move. It’s interesting that Rosier is seen with what looks like a prophecy, and Dumbledore is hesitant to act even though we know he takes Grindelwald on in 1945. This could be lingering guilt about Ariana’s death, but why insist on involving Newt so much? Dumbledore in the Harry Potter series said he’d been foolish and proud in his younger days, but following Ariana’s death he realised the horrors of Grindelwald’s rise to power, and sought to thwart him, as we’re seeing in Fantastic Beasts. 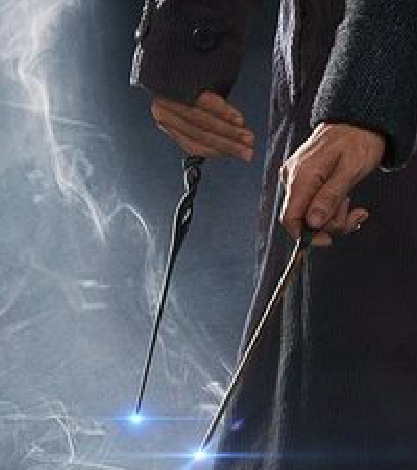 Could it be that a prophecy brings Grindelwald to Credence, and Newt’s connection to Credence means he has to intercept? Perhaps Dumbledore is hesitant to move against Grindelwald because he himself is part of a prophecy, and much like how Voldemort enacted the prophecy by marking Harry as his equal, Dumbledore wants to hold off his involvement to prevent a prophecy coming to light? What are your thoughts on his instructions to Newt? Nicolas Flamel, who we discovered to be a long-time friend of Albus Dumbledore in Harry Potter and the Philosopher’s Stone, will feature in this film (though isn’t seen in the trailer), and as Pottermore and actor Brontis Jodoroswsky have teased his importance to the mysteries of this film, we can’t wait to see how he ties in! 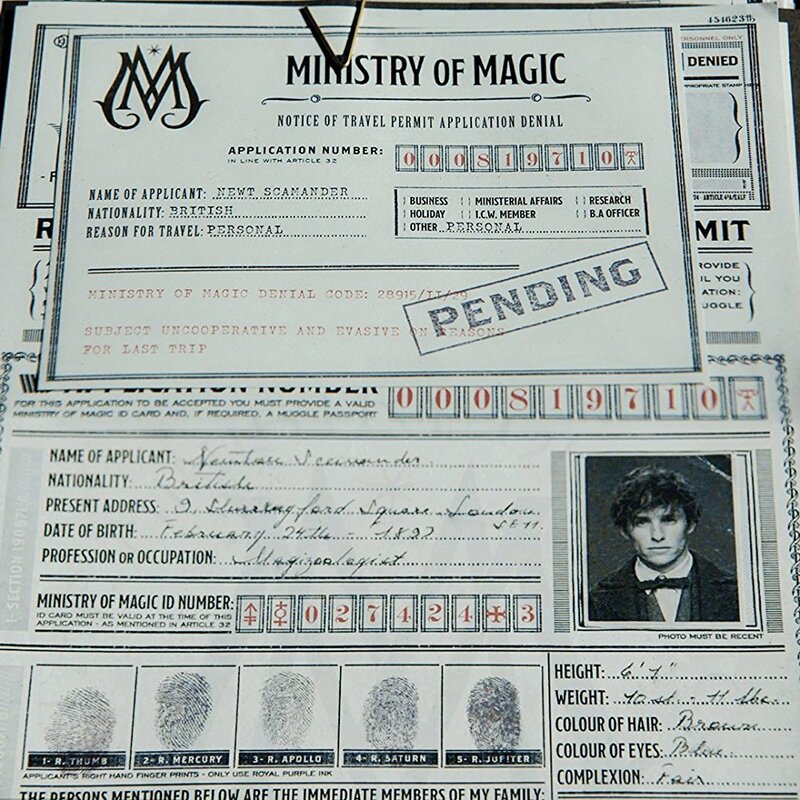 Could his talents in alchemy or perhaps even the Philosopher’s Stone itself have something to do with Grindelwald’s move to Europe? Why might Dumbledore need to reconnect with his old friend? We’ll have to wait and see! Victoria Yeates, who will portray Bunty in Crimes, posted a photo captioned #NewtAndBunty as production wrapped on the film, and after theorising that there could be a connection between the two characters, Yeates revealed in a recent article that Bunty will, in fact, be Newt’s assistant! It’ll be interesting to discover how Newt (& co), Credence, Leta, Theseus a wizarding circus and Nicolas Flamel come together in the hunt for Gellert Grindelwald, and how this story might “test loyalties”! Read up on our theories here, plot rumors based on a rumored cast list here, see new footage recorded by us from A Celebration of Harry Potter here, photos from the film here, and beasties returning to the sequel here! Crimes of Grindelwald releases in cinemas on November 16th. 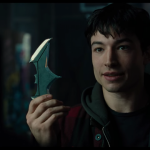 Let us know your theories and thoughts on the trailer in the comments! 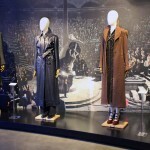 Read Pottermore’s breakdown here.